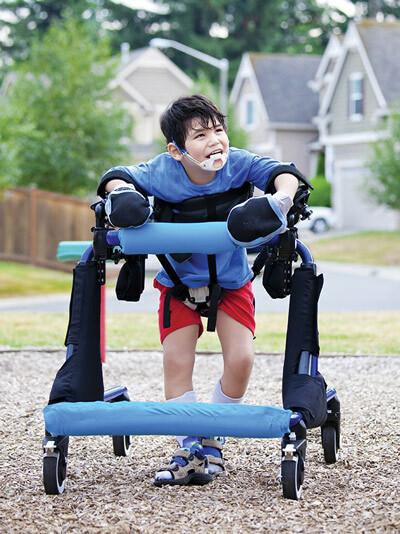 Knee pain affects one in five ambulatory children with cerebral palsy (CP).1 But these patients have a range of health concerns—behavioral, cognitive, psychological, emotional, and biomechanical—and all require different levels of management. That’s why practitioners may not be aware of knee pain in children with CP unless they go looking for it. Katharine Alter, MD, medical director of the NIH’s Gait Lab, agreed that if clinicians don’t ask about knee pain in this population, they won’t hear about it. And yet, a recent study from the Children’s Orthopaedic Center in Los Angeles found a 21% prevalence of knee pain in ambulatory kids with CP. Susan Rethlefsen, PT, DPT, and colleagues retrospectively reviewed the records of 121 children with CP. Rethlefsen is the lead physical therapist (PT) at the center’s John C. Wilson Motion Analysis Lab. The likelihood of knee pain was almost five times higher in girls than boys. The likelihood of knee pain increased with age by about 13% per year. The presence of malignant malalignment syndrome showed an association with knee pain severity, which trended toward statistical significance. The prevalence of knee pain was equal for Gross Motor Functional Classification System (GMFCS) levels I to III. Finally, the group found that the eight children who walked with the greatest stance knee flexion (GMFCS level IV) did not report knee pain. The finding may seem counterintuitive because a more severe crouch is generally associated with patellofemoral pain (PFP). But the result did not come as a surprise to the authors. In a joint email to LER, Rethlefsen, along with coauthor Robert Kay, MD, vice chief of the center, explained that the patients who walked with the greatest amount of knee flexion also walked the least. “So it makes sense that they put less stress on their patellofemoral joint structures than their more ambulatory peers, and did not experience knee pain,” they wrote. But that doesn’t mean clinicians can skip asking about knee pain in patients who are mainly sedentary, Rethlefsen and Kay pointed out. Alter agreed that nonambulatory or less ambulatory patients can experience PFP just as often as ambulatory patients. She said that she’d like to see how the patients in the study by Rethlefsen’s group are doing in 10 years—for example, if a CP patient who continues to walk in crouch all day at school has a higher incidence of pain than those who do only household walking. “There are a lot of different subpopulation studies within the larger population of children with CP that could…fine-tune our knowledge in regard to pain, crouch, and pain markers,” Alter wrote. Rethlefsen said her group’s next step would be to investigate whether or not radiographic factors (such as patella alta, patellar pole abnormalities, and tibial tubercle abnormalities) are related to knee pain in children with CP. 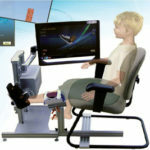 Patients were assessed using a variety of physical tests and then underwent 3D magnetic resonance imaging (MRI), with images acquired during active leg extension and under volitional control. 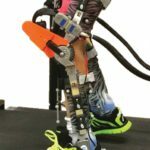 Kinematic markers associated with AKP included greater patellofemoral extension, valgus rotation, and superior and posterior patellar displacement relative to controls and to the subgroup of participants with CP and no AKP. While Gavelli and Alter continue their research in this area, they suggest that practitioners be aware of those three markers when trying to get a handle on knee pain in younger CP patients sooner rather than later. That information can be incorporated into the physical exam and shared with the physical therapist, the physiatrist, the orthopedist, or the general pediatrician, Alter said. The end game with identifying these markers is implementing early intervention, they explained. Regardless of the child’s level of ambulation, knee pain needs to be evaluated and managed to keep the patient as mobile as possible. “The consequences of inactivity and/or a cessation of walking are a cascade that includes atrophy of muscles, deconditioning, increased weakness, joint problems, and loss of function in other areas. So whatever we can do to keep kids active, including walking, is great,” Alter wrote. 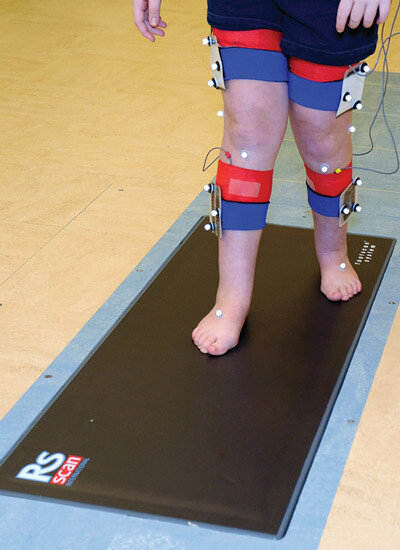 Tom Novacheck, MD, a pediatric orthopedic surgeon at Gillette Children’s Specialty Healthcare in St. Paul, MN, recommended a general gait analysis that includes the assessment of knee function as a reliable assessment tool that may be more accessible than MRI for most practitioners. Malignant malalignment is often missed during a general physical exam, and requires computerized motion analysis to pinpoint, Rethlefsen and Kay explained, but there is a lower-tech screening option. “An an easy way to screen for it is to place a mark on the patient’s patellas and video the patient walking from the front. If the knee points excessively in and the foot excessively out during stance phase, malignant malalignment is likely,” they wrote. Gait analysis can also help determine if other biomechanical problems, particularly in the feet, play a role in CP-related knee pain. Novacheck pointed out that if flat foot (pes planus) is an issue for a patient, then patellofemoral pain may follow. 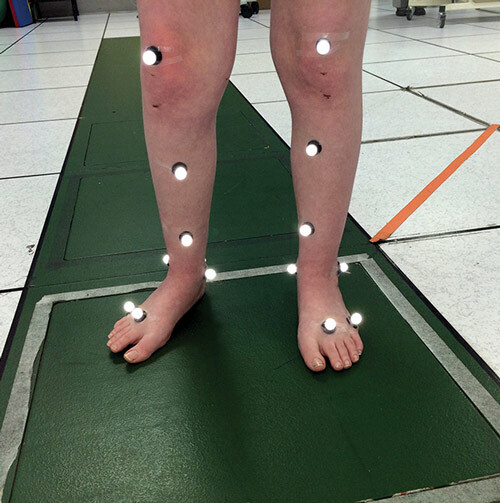 He added that gait analysis data can help practitioners with treatment decisions. “Your diagnosis after the evaluation will help you decide what the goal is—is it pain management or improving gait? That determination may send your patient down different treatment pathways,” he said. Experts recommend mixing and matching from a spectrum of treatment options, starting with conservative modalities. “For all treatment, there is a continuum where you may pick one or more treatments at different times, depending on the patient’s age and functional skills,” Alter explained. For instance, spasticity is a major issue in the majority of patients with CP. As the leg muscles grow less and less elastic, increased pain and stiffness can lead to PFP. If an immediate goal is to diminish pain, then botulinum toxin injections are a good route. The pain reduction seen after toxin injections may be because of spasticity reduction or because of antinocioceptive effects that maintain or increase the patient’s mobility, Alter said. Novacheck also recommended toxin injections for addressing high muscle tone and managing pain, as well as other tried-and-true methods such as ice and heat or anti-inflammatory medications. Taping is another treatment option, the NIH specialists said, as it may reduce some of the abnormal movements of the patella during knee extension, thereby stopping it from subluxing up and over the lateral condyle (see “Patellofemoral taping: Pain relief mechanisms,” LER August 2010, page 25). 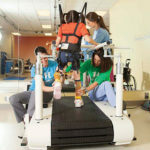 Also on the treatment spectrum is physical therapy, which may include hip strengthening for reducing pain and increasing lower body strength or quadriceps and hamstring stretching to aid mobilization (see “Strength training improves function in children with CP,” LER: Pediatrics February 2014, page 15). All of the experts agreed that physical therapy can work wonders for diminishing knee pain—but it also requires patient and caregiver commitment to be successful. Alter stressed that physical therapy programs need to be based on the child’s level of engagement and, ideally, tailored to their interests. Possible barriers to physical therapy include language or communication issues, behavioral problems, or difficulty following directions. Alter agreed that controlling distal biomechanical problems of the foot, ankle, or both may help the knee, but she cautioned that, when it comes to ankle-foot orthoses (AFOs), the style of the device is important. 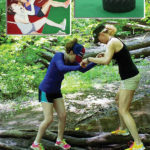 Many patients crouch through a combination of weakness and contracture, she said, and “in this subgroup of patients with crouch, these anti-crouch AFOs may not be tolerated or effective.” Alter said. She suggested that knee AFOs (KAFOs) may be useful in some patients with crouch because they can limit flexion, which in turn may alleviate knee pain. 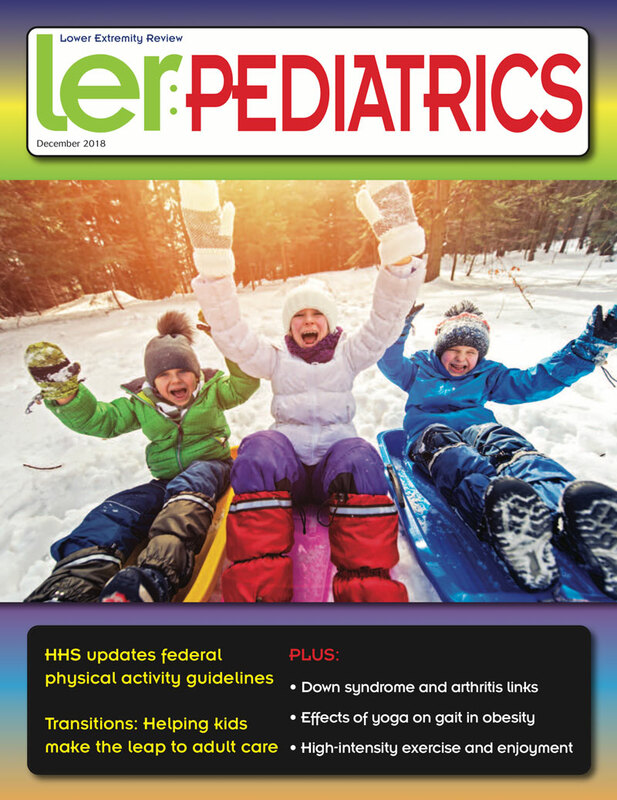 But bracing is only valuable if the patient is compliant, and depending on the child’s age, that can be a major hurdle (see “Kids, clothes, and AFOs: Finding just the right fit,” LER: Pediatrics May 2014, page 9). Novacheck noted that it’s during adolescence, when growth spurts are occurring, that children with CP are most likely to complain about knee pain—but that is an age group that doesn’t smile on anything that makes them more different than their peers. Finally, there is surgical intervention, which experts agree should be considered only when all other treatments have proven ineffective. Surgical options for addressing crouch or limited knee extension include quadriceps lengthening, patellar tendon advancement, surgery on the femur itself, or taking a wedge out of distal femur to improve the patellofemoral kinematics. Sheehan FT, Babushkina A, Alter KE. Kinematic determinants of anterior knee pain in cerebral palsy: a case-control study. Arch Phys Med Rehabil 2012;93(8):1431-1440. Kedem P, Scher DM. Foot deformities in children with cerebral palsy. Curr Opin Pediatr 2015;27(1):67-74.